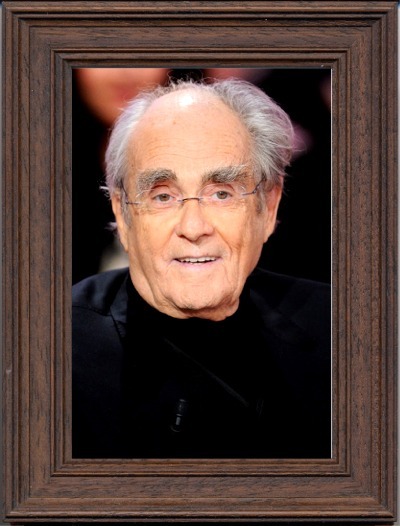 French Oscar-winning composer and jazz pianist Michel Legrand has died in Paris aged 86, his spokesman has said. During a career spanning more than 50 years, Legrand wrote over 200 film and TV scores, as well as songs. In 1968, he won his first Oscar for the song The Windmills of Your Mind from The Thomas Crown Affair film. Two more Oscars followed in 1971 and 1983 for the best original scores in Summer of '42 and Yentl films respectively. In the 1960s, he collaborated with French new wave director Jacques Demy on The Umbrellas of Cherbourg - the work which opened the door for Legrand to Hollywood. The hit song The Windmills Of Your Mind was later covered by a number of artists including Dusty Springfield. 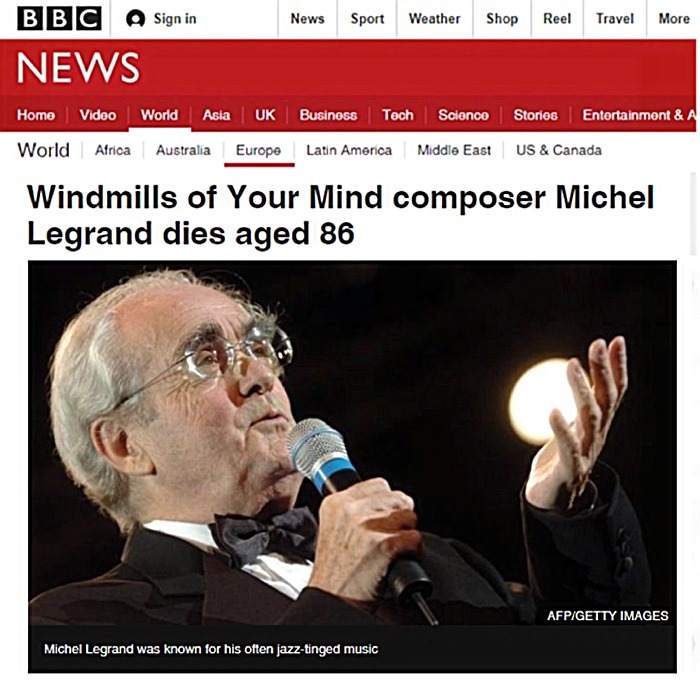 Legrand - who was known for his often jazz-tinged music - collaborated with such stars as Miles Davies, Ray Charles, Frank Sinatra and Edith Piaf among others. He had planned to give concerts in Paris in April, the AFP news agency reports. Legrand was born in Paris in 1932. He came from a musical family: his father was a conductor, as was his maternal uncle.